State of overtraining – What to do with overwork? Being that Clenbuterol is not an anabolic steroid, it does not express or exhibit any of the known side effects that are associated with anabolic steroid use. Instead, Clenbuterol expresses side effects that are common to all drugs and compounds in the stimulant class. This means that many Clenbuterol side effects are similar to that of Caffeine, Ephedrine, and other stimulants to varying degrees. Clenbuterol side effects also include those that are considered somewhat unique to the compound that are unseen with other stimulants. Perhaps the most unique of Clenbuterol side effects is the commonly reported side effect of muscle cramping. This is also a reported side effect of Clenbuterol’s close sibling compound, Albuterol. The cause of this is through Clenbuterol’s depletion of Taurine in the body. Studies have demonstrated that the use of Clenbuterol depletes levels of the amino acid Taurine both in muscle tissue as well as serum blood plasma. Taurine alongside Magnesium, Potassium, and Sodium play very crucial roles in the regulation of bioelectrical nerve impulses and signals that govern the contraction and relaxation of all muscle tissue types. When Taurine is depleted, involuntary and often intense and painful muscle contractions that lead to cramps can result. It has been found that supplementation with Taurine at 2.5 – 5 grams per day can mitigate this side effect. 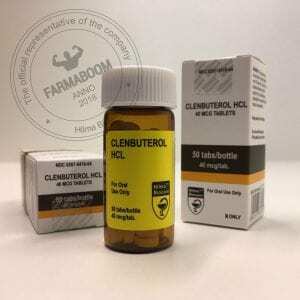 Being a stimulant, Clenbuterol is particularly harsh on cardiac tissue and the cardiovascular system, though there is some evidence that Clenbuterol can promote muscle growth and cardiac recovery in patients with chronic heart failure using high dosages. However, the peak Clenbuterol dosages used in this study would be considered extreme and should not be attempted by anyone due to the high-risk nature. Myocardial Ischemia has also been reported as a risk of Clenbuterol use, a condition whereby there is insufficient blood supply to the heart as a result of arterial vasoconstriction caused by Clenbuterol. A study on rats unveiled Clenbuterol’s alarming myotoxic effects, where it caused the death of heart muscle as well as the soleus muscle. The dosages in this study, however, would be considered extreme, but it is a concern surrounding the use of Clenbuterol. When it comes to Clenbuterol and the heart and cardiovascular system, the vast majority of these negative effects involve cardiac hypertrophy, enlargement of ventricles, and cardiac necrosis. Without a doubt, Clenbuterol tends to place a great degree of strain on the cardiovascular system and this should be a consideration for all potential users. Other common Clenbuterol side effects include tremors (“shaky hands”), insomnia, sweating and perspiration, increased blood pressure and headaches, and nausea. Clenbuterol side effects can also include adverse or unique allergies and reactions such as hives and rashes. As an asthmatic medication in the treatment of asthma, Clenbuterol dosages are in the range of 20 – 40mcg per day. In order to achieve any significant amount of fat loss, the peak Clenbuterol dosage that individuals should eventually titrate up to should be 120 – 160mcg per day. Females may be able to only tolerate less, in the range of 80 – 100mcg per day. Whether or not the user is a male or female, the dosage must be slowly titrated (or ‘ramped up’) to the peak dosages mentioned. This means that, for example, an initial starting dosage would be 40mcg of Clenbuterol for the first 3 days, and on the 4th day of the cycle, the Clenbuterol dosage is increased by another 20mcg (now for a total of 60mcg per day), and 3 days later it is increased again, and so on and so forth. Some individuals can tolerate a quicker titration upwards, and others may require a slower steady increase. Titration downwards is not necessary when ending Clenbuterol use, though some have a personal preference for it. 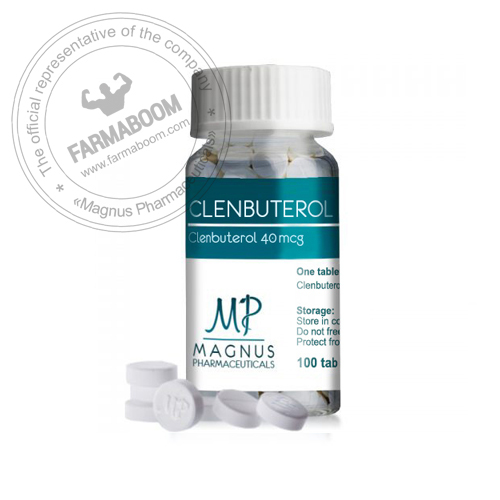 Clenbuterol exhibits a half-life of approximately 37 hours, so all Clenbuterol dosages should ideally be consumed at once in the morning. There is no requirement to spread the Clenbuterol dosages throughout the day, and this would in fact cause worse insomnia and sleep disturbances. Clenbuterol should only be used when fat loss should be particularly accelerated in a relatively short period. 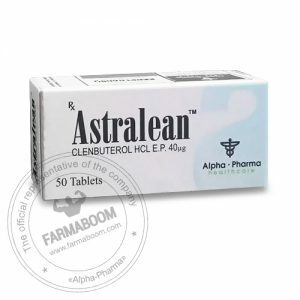 Clenbuterol exerts further action promoting fat burning, it helps burn fat without the need of a diet by slightly increasing the body temperature, thus prompting the body to use fat as fuel. We can manage to eliminate fats strongly by associating Clenbuterol to T3 Cytomel which is a preparation of thyroid hormone L-T3. By increasing body temperature, Clenbuterol enhances anabolic-androgenic steroid action when the gaining is performed simultaneously because the metabolism of protein is then accelerated.